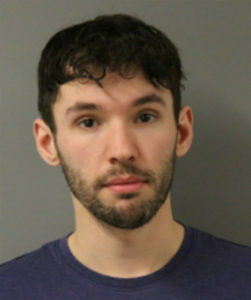 A Colorado man accused of throwing a glass of water on Iowa Congressman Steve King has pleaded not guilty to two counts of assault and one count of disorderly conduct. Twenty-six-year-old Blake Gibbins of Lafayette, Colorado made an appearance Saturday in Webster County Magistrate Court in Fort Dodge. Gibbins allegedly approached the table of King at the Mineral City Restaurant in Fort Dodge Friday afternoon, asked for King’s identity and then threw a glass of water at him. A Webster County magistrate accepted Gibbons’ guilty plea and set a trial date of April 12th. Gibbons has been released on bond. The magistrate has issued an order barring Gibbons from having contact with King or the other man who was sitting at King’s table when the incident occurred.